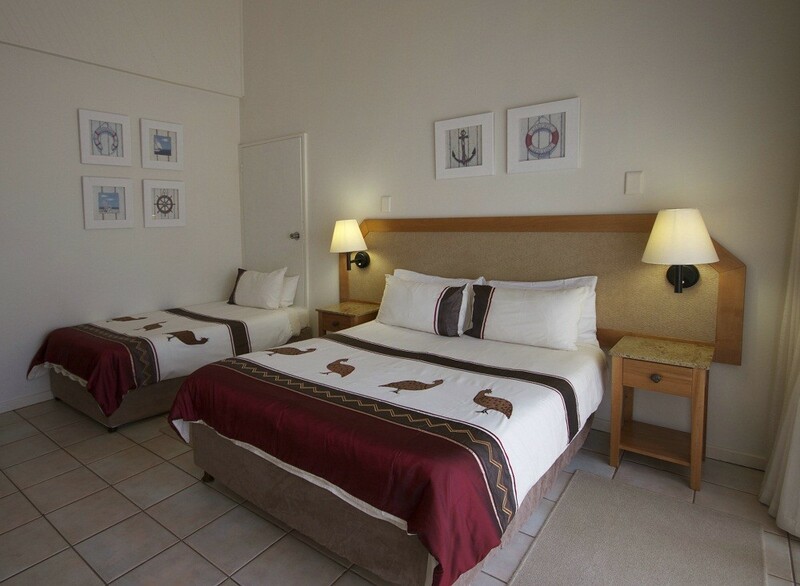 Beach Cabanas is an accredited accommodation TGCSA 3 Star and is AA Highly recommended. 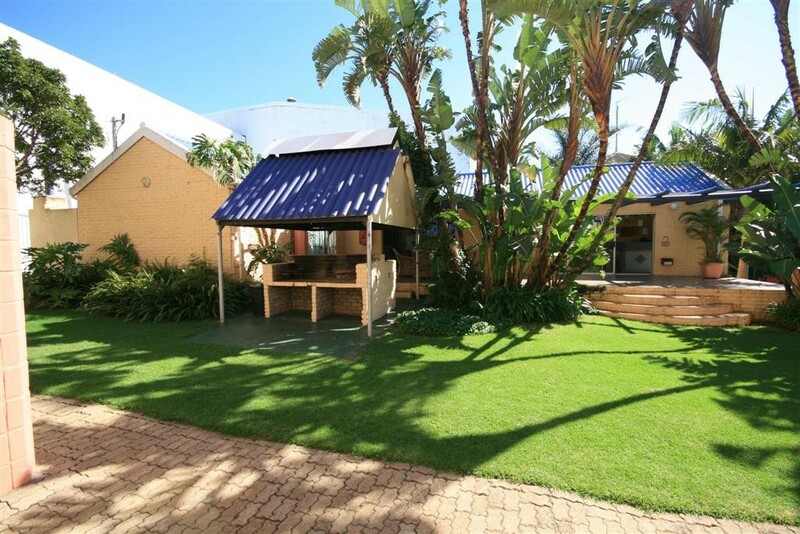 The accommodation consists of 16 self contained studio units. 8 are on the ground floor leading from their patio onto the garden and 8 are upstairs looking down onto a luxurious tropical garden. Between every second unit there is an interleading door which may be opened on request. i.e. families etc. 10 units have a double bed and a sleeper couch. 5 units have a double bed and a single bed. 1 unit has 3 single beds. 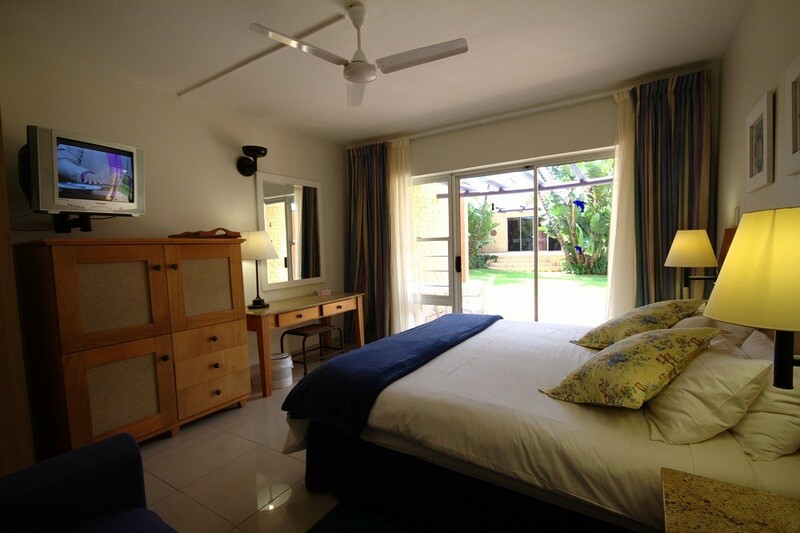 All units are fully serviced and supplied with complimentary tea and coffee, soap, bath towels and linen. 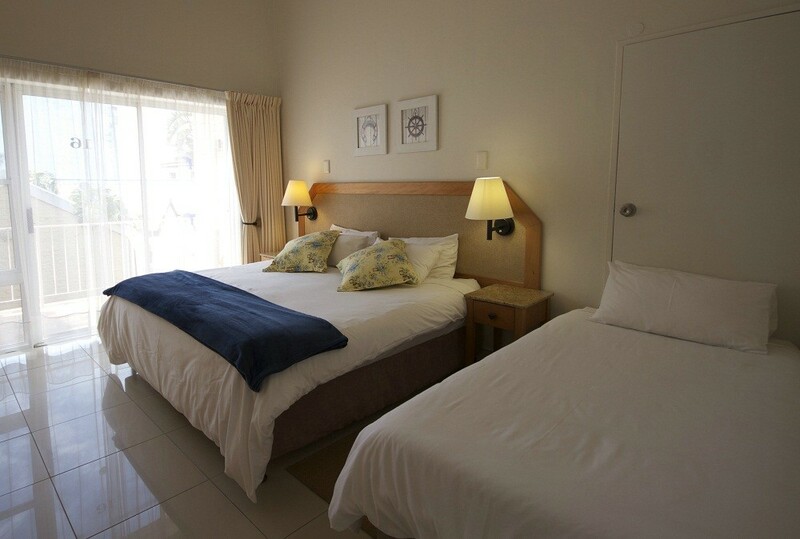 Each unit has an en-suite bathroom with a shower, toilet and basin. 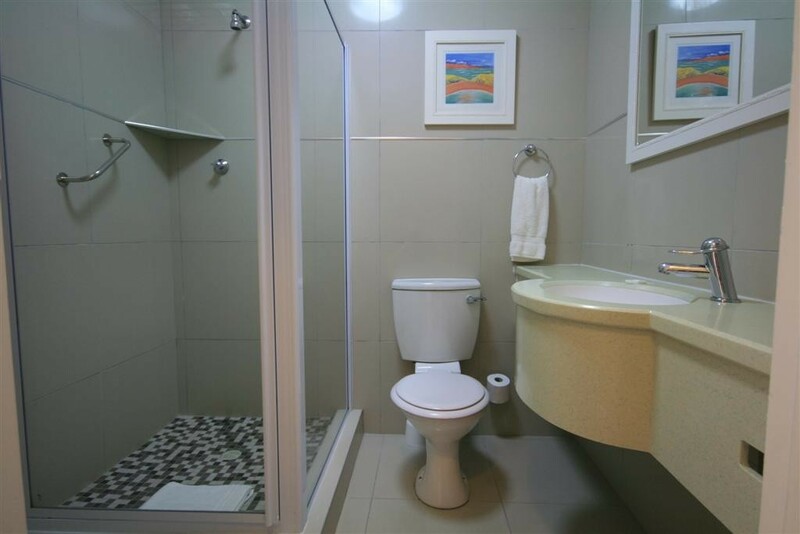 4 units have a bath with an overhead shower, basin and toilet. 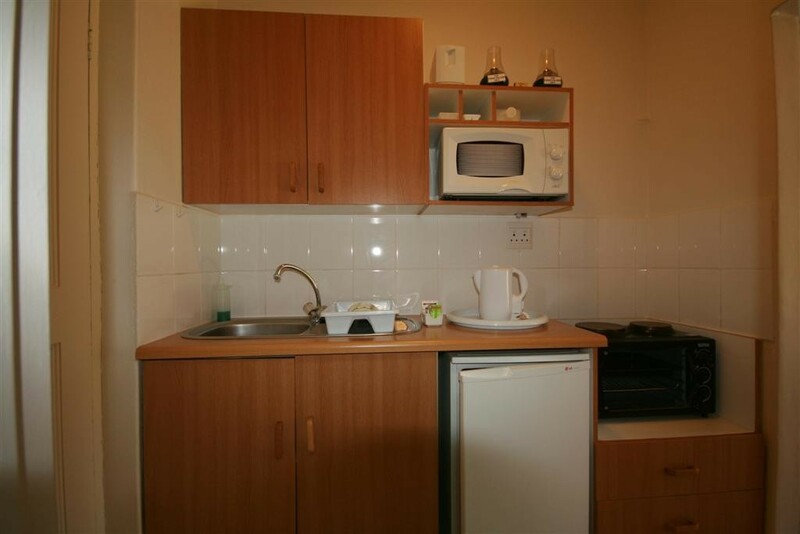 A kitchenette with crockery and cutlery, pots and pans etc. for 3 persons are also supplied. There is a microwave, 2 plate stove with a small oven, small kitchen fridge and a bar fridge. There is a TV with M-NET, MM1-2, SS1-2-3, ETV and SABC 1-2-3. Each unit has free Wi-Fi. Multi-speed overhead fan and heater. In the cupboard is hanging space with hangers, shelves, extra blankets and a personal computerized safe. There is a full length mirror and a large square mirror. There is a dressing table with a chair, in the draw is a hairdryer and on the adjacent cupboard next to the table is a set of international plugs. The units are well lit with lace and block out curtains. 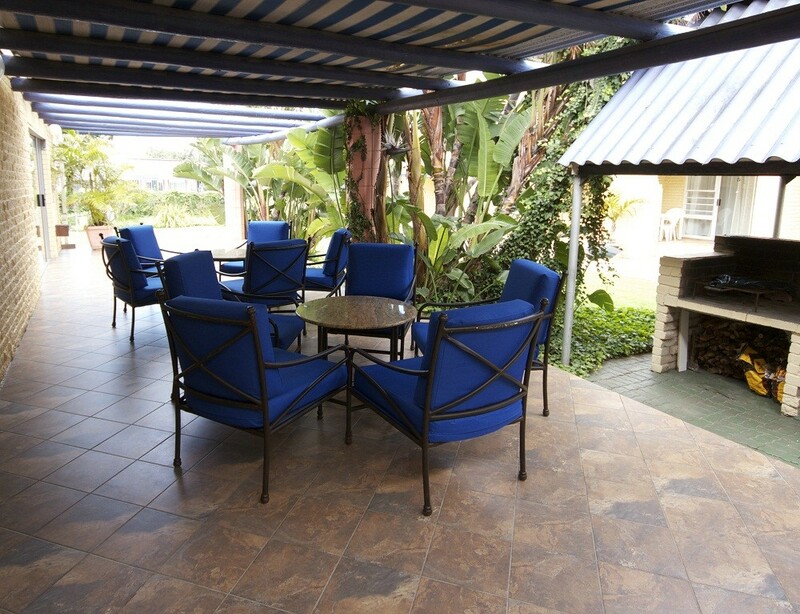 You have your own private patio with table, chairs and either a built-in braai or a mobile one. Each room is supplied with an information booklet. Irons and ironing board is available on request. A nearby Laundromat offers same day service at a very reasonable rate. A cot and high chair is available at the reception. Across the garden from the units is the reception and restaurant. 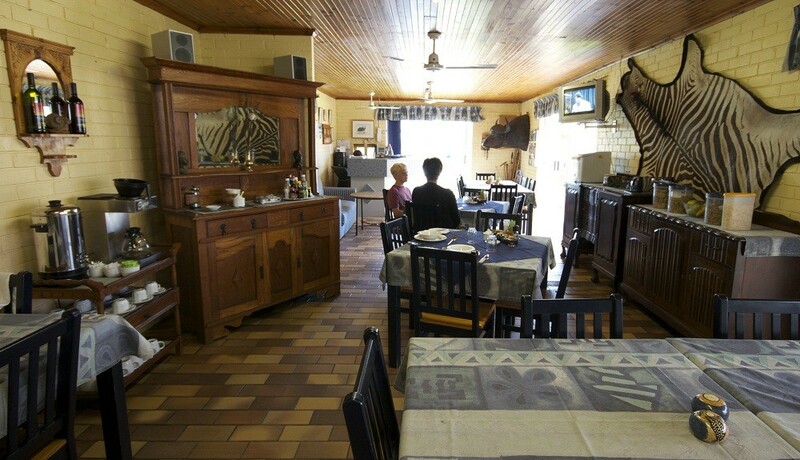 The restaurant serves breakfasts and makes packed lunches on request. Although Beach Cabanas is open 24 hours a day helpful and happy staff will be around the reception / restaurant area between 6.00am and 7.00pm. The night manager who resides on the premises is there to deal with any after hour queries. The tropical garden which consists of giant strellitzias, palms and evergreens almost surrounds the restaurant and pool area. Water cascades into the pool from a large rock feature, semi covered with large leaved plants and creepers. The cascading water can be heard from all the units. Well placed lights highlight the waterfall, greenery and pool at night. The premises are secured. Guests are issued with a key allowing them in and out. Vehicle parking is off road. It is in a highly visible and lit up area. 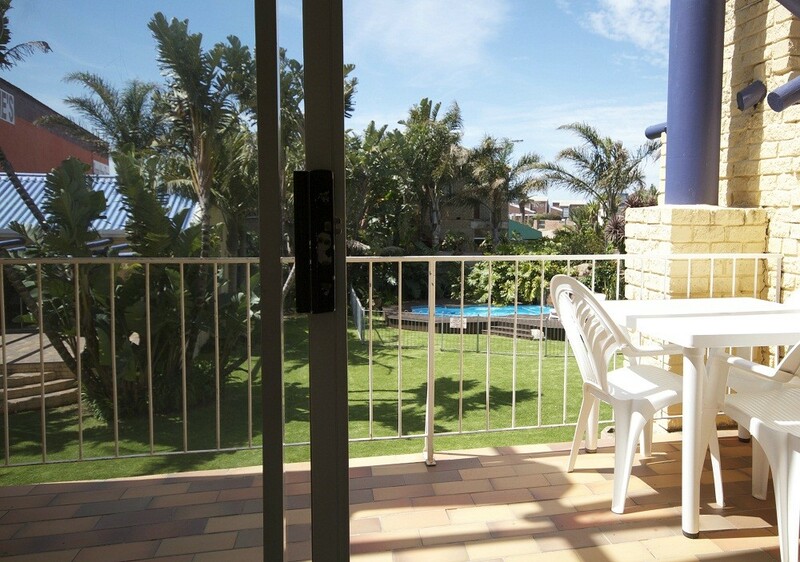 Beach Cabanas is within 200 meters of the beach and within 300 meters of all possible shopping conveniences. Take the first Jeffreys Bay exit after crossing the Gamtoos River. Swing left off the off ramp. At the bottom ( turn left ) and right at the ‘T’ junction. Follow the R102 for approximately 15 kilometers. Turn left into Jeffreys Bay. The road is called Kabeljous Road which becomes Da Gama Road. 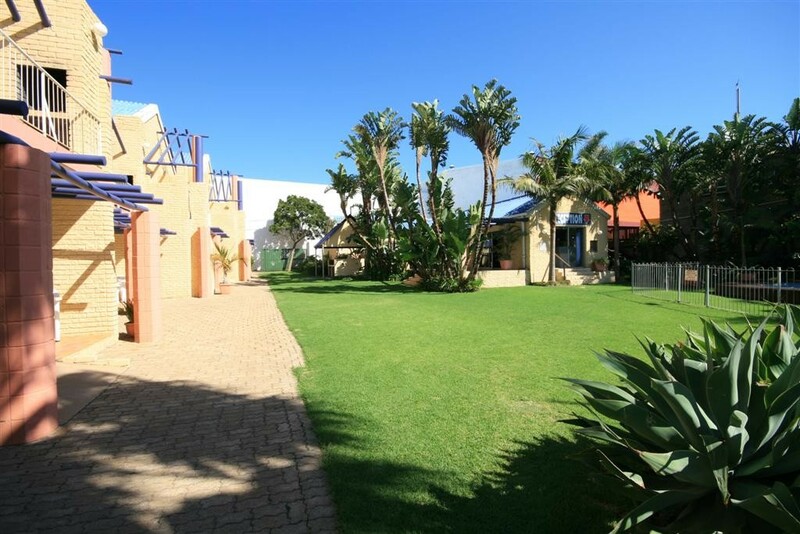 Beach Cabanas is 4 kilometers down that road on your right hand side – directly opposite the KFC . Take the first Jeffreys Bay exit after the Humansdorp exit. Turn right, over the highway and continue on that road past the shopping mall and through 4 circles. The road is called St Francis Road. After the Shoprite Mall on your left at a ‘3 Way Stop’ turn left into De Reyger Rd. Proceed 300 meters to the Traffic lights and turn left into Da Gama Rd. Go 1 kilometer, Beach Cabanas is on your left opposite KFC. OUT OF SEASON 11th January to 14th December. 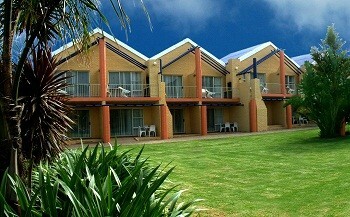 2 persons sharing From R350.00 p.p. IN SEASON 15th December to 10th of January. 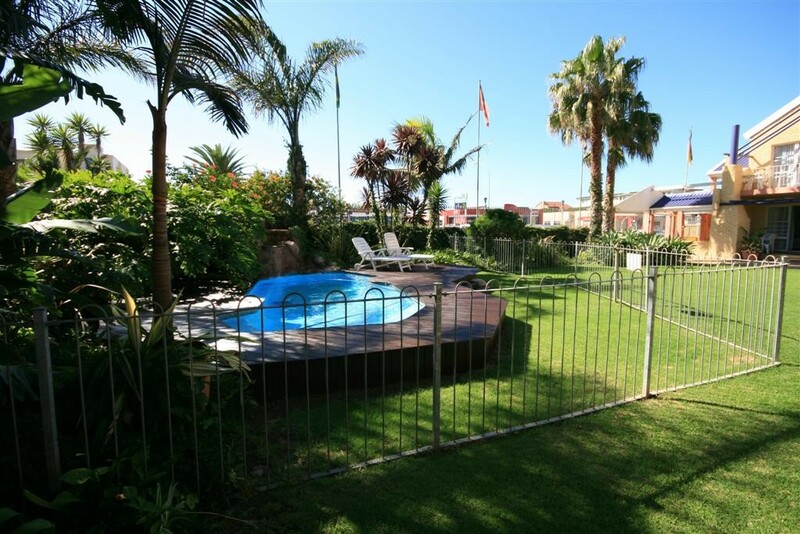 2 persons sharing From R600.00 p.p. We accept credit cards, bank deposit, eft transfers or cash.